shipstamps.co.uk • View topic - AMISTAD tug ? I got from Mr. Dies van Nieuwenhuizen that he believes that the tug behind the BARBER TONSBERG on the Panama stamp is the AMISTAD but he can’t remember more were he got the source from many years ago. By looking at the stamp even when I enlarge the image it is a tug but I can’t make much more out from it. Who can confirm or deny if the name is correct? By looking in https://www.miramarship.nz I found that three tugs were built by Bollinger Machine shop & Shipyard in Lockport, Louisiana for the Panama Canal Authorities. It are sisterships. 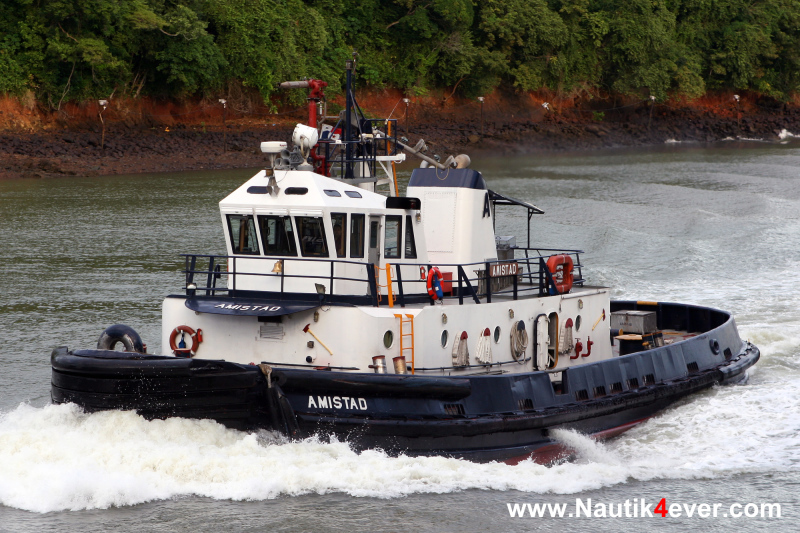 AMISTAD built as a tug under yard no 160 by Bollinger Machineshop & Shiprepair in Lockport USA for the Panama Canal Authority. Tonnage 258 ton, dim. 31.45 x 9.2m, length bpp. 30.5m. Powered by General Motors EMD 645-E8 engine, 2200 kW. speed 12 knots. 1982 Delivered under the name AMISTAD. Panama registry. She was sold to Argentina in 20? and renamed PAMPERO. 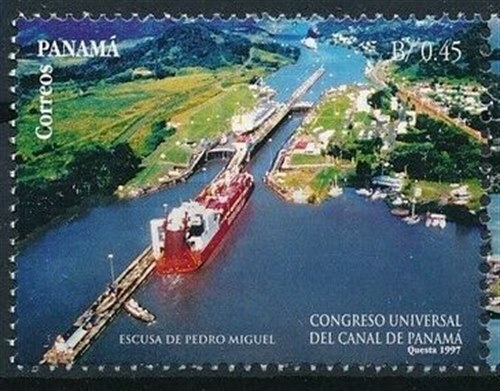 Panama Canal Authority under Panama registry. Panama 1997 B0.45 sg?, scott?